Mayor Cerino called the meeting to order at 7:43 p.m. In attendance were Councilmembers David Foster, Linda C. Kuiper, Rev. Ellsworth Tolliver and Mauritz Stetson, W. S. Ingersoll (Town Manager), Jennifer Mulligan (Town Clerk) and guests. Mayor Cerino asked if there were any additions or corrections to the minutes of the Mayor and Council Meeting of October 15, 2018. Mr. Stetson moved to approve the minutes as submitted, was seconded by Mr. Foster and carried unanimously. Mayor Cerino stated that total operating cash on hand for unrestricted use is $1,374,093.62. Restricted funds for the Marina project totaled $254,203.52. Mayor Cerino asked for a motion to pay bills. Rev. Tolliver moved to approve payment of the bills as submitted, was seconded by Mr. Foster and carried unanimously. 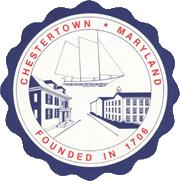 Mr. Ingersoll stated that Ordinance 05-2018 An Ordinance Declaring Certain Real Property in Chestertown to be Surplus and Authorizing the Sale Thereof was being introduced this evening for two (2) separate properties. A sliver of land at 328 Cannon Street surrounded by the same property owner on either side, which at one time was a narrow side entrance to the State Highway (now Town) yard. It has been unused for many years. A commercial piece of land at the intersection of Flatland Road and MD Rt. 20 (grassy area in front of Cochran Glass), which was bought in 2002 with the idea of creating an outdoor basketball and recreation area for the area. This goal has been accomplished to a much greater extent across the street at the Gateway Park. The parcel itself stands between two (2) commercial properties and Flatland Road. Mr. Ingersoll stated that the neighboring property owners will be given the right of first refusal. If the Ordinance is adopted on November 19th it will become effective on December 10, 2018. Mr. Ingersoll stated that at that time the properties will be appraised. He said that there was an offer on the Cannon Street sliver already and Cochran Glass seemed interested in the parcel on Flatland Road. Mr. Ingersoll stated that Ordinance 06-2018, Making Certain Text Change Amendments to Chapter 170-46 and 170-87 of the Zoning Ordinance, was prepared for introduction. Mr. Ingersoll stated that when the new business campus was annexed into Town, it was done so with language stating that a mixed-use zone would be developed for it. He said that certain uses from C-3 (Neighborhood Commercial) have been added LI-2 (Light Industrial), with the exception of drive-throughs, convenience stores, and first story front residences. This allowed for residences above and behind the commercial use. Mr. Ingersoll stated that the owners of the annexed land seemed pleased with the draft amendments and the Chestertown Planning Commission approved and recommended it. Mr. Ingersoll stated that signage will also be expanded (outside of the Historic District) for RB (Professional Office) allowing for larger signage on larger properties. Mr. Ingersoll stated that a Public Hearing was scheduled for 7:00 p.m. on Monday, November 19th for Ordinance 06-2018 and it could be enacted as early as the regular meeting following the hearing. Mr. Ingersoll stated that the annexed property had been zoned Commercial Crossroad in the County (mixed use zone) and this change to the Zoning Ordinance is comparable to that zoning, which is the preferred method of rezoning in annexation. Mr. Ingersoll stated that if Ordinance 06-2018 is adopted on November 19, 2018 it will become effective on December 10, 2018. Mr. Ingersoll stated that he had received permit requests that day for the Dickens Festival. Ms. MacIntosh stated that the permit was similar to last year’s and there have been meetings with Chief Baker regarding the street closures and a 5k run. She said that Friday night, the 300 block of High Street will be closed for the fire pits. There will be limited parking on some streets to allow the horse-drawn carriages to maneuver turns. The 200 block of High Street (from Cross Street to Queen Street) will be closed on Saturday for the festival. Ms. MacIntosh stated that the one big change to the permit request this year is that a large tent will be erected for vendors taking up a large portion of the street. She said that the Festival would like to close the 200 block of High Street from Lawyer’s Row to Queen Street on Friday morning. There will also be tents at the end of High Street closest to Queen Street and food tents near the White Swan. Mayor Cerino asked if the business owners and residents in and around the festival area have been notified of the event and proposed street closures. Ms. MacIntosh stated that they have not notified anyone yet, but the committee intends to distribute information sheets about the festival and street closures. 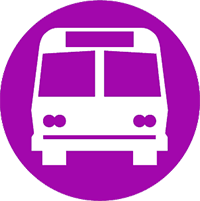 Mr. Ingersoll stated that the permits were submitted in light of the 30-day rule of going before the Council for street closures. He said that he has already forwarded copies to the Police Department and Street Crew for their input. Ms. Kuiper stated that it would be nice if street closures were published in the Kent County News when there are big events taking place in Town. Ms. Kuiper moved to approve the permit requests for the Dickens Festival pending notification to business owners and residents affected by street closures and parking bans, was seconded by Mr. Foster and carried unanimously. Mayor Cerino stated that Downrigging Weekend was a success, although it was touch and go for many months as to whether or not it would even happen this year. Mayor Cerino stated that he wanted to thank the crews hired for the work at the Marina who stepped up to finish the project before Downrigging Weekend naming Bramble, Dissen & Juhn, Yerkes Construction and Chester River Landscaping. Mayor Cerino stated that the Marina is as nice as it has been in at least 30 years, if not more. He said that there was great feedback from the crews of the visiting ships, other boaters, and from residents and visitors. He also said that the rain drove people to the indoor events, shops and restaurants which made for a good weekend for the business owners. Mayor Cerino stated that the Town has already received approximately $20,000.00 in pledges and donations for the Marina since fundraising began a couple weeks ago. He said that this was a worthy project that will benefit the community for decades. Mr. Stetson stated that he attended the Downrigging Festival on Friday and Saturday, and although the weather did not cooperate, the festival was well attended. Mr. Stetson stated that November’s First Friday had a good crowd and the weather cooperated for the first hour or so before the rain came. He said that he did go in for a drink at the new LTO (Limited Time Offer) on the 300 block of High Street and that he enjoyed it. Mayor Cerino stated that LTO will only be open until the holiday season and then will close for renovations of the interior and hopefully reopen in the spring. Mr. Stetson stated that the Dog Park was still waiting on the dog exercise equipment and said that he was looking forward to having it built. Mr. Jay Yerkes is donating his time to the project and the Friends of the Chestertown Dog Park are buying the material. Rev. Tolliver stated that over the past several weeks he and his constituents have been spending time on voter registrations and hosting information sessions with Jesse Colvin. He said that Elijah Cummings also visited and educated people on the processes he follows and how things are going in Washington, D.C.
Rev. Tolliver stated that he wanted to commend the neighborhoods in the Third Ward for how they are maintaining their properties. Rev. Tolliver stated that he attended Downrigging and said that the Marina is really going to be a grand showpiece for the Town. Rev. Tolliver stated that he attended a workshop on non-profits so that he can better serve those organizations in Chestertown. Rev. Tolliver stated that Confidence Beauty Salon is getting ready to open on the 800 block of High Street. He said Nikki Johnson was the owner. Ms. Kuiper asked if there has been any word from the SHA about reducing the speed limit on Rt. 289 from Chester River Landing to Wilmer Park. Mr. Ingersoll stated that another packet was just sent off to the SHA with letters of support, including a reminder that this was a big issue for Chestertown. Ms. Kuiper stated that the Sumner Hall Concert Series begins on November 10th at 7:00 p.m. with a blues concert. Ms. Kuiper stated that People’s Bank is having their Holiday Gingerbread House Display during the Dickens Festival. Anyone interested in entering a gingerbread house for the display can call People’s Bank and make arrangements through Henrietta or Don at 410-778-3500. Ms. Kuiper stated that KRM was already booking holiday parties at The Bank, 211 High Street. Ms. Kuiper stated that volunteers were needed for the Tea Party Festival. Ms. Kuiper asked why there were bills for the Forlini Law Group. Mr. Ingersoll stated that Mr. Forlini has drafted letters about the hospital oil spill and the monitoring of it in March, July and September. He said that the reports are complex, but what they indicate is that the sentinel wells have had detects, although the levels were below what was required to trigger remediation. Mr. Ingersoll stated they have learned that two (2) new monitoring wells were being added and a new a gel process was now being used in the testing (which may skew previous results by providing different ones). He said that this negates the spirit of transparency in the agreements. He said the detergent that was used a year ago showed in March as still being in the ground, which creates new byproducts. Mr. Ingersoll stated that he would bring the information to the Council when the correct letter is done. He said that there was no reason given why and where two (2) additional monitoring wells needed to be installed or any reason why the method of testing would be changed without alerting and involving the Town. Mr. Foster stated that he thought the agreement was that the Town, Hospital and MDE would be full partners. Mr. Ingersoll stated that was exactly the agreement that was made and not being observed. Ms. Kuiper stated that Bennett’s was no longer selling gas due to the tank insurance and the two (2) Royal Farms taking business away from them. Bennett’s will continue to do repairs in the shop. Mr. Foster stated that he attended the Downrigging Festival and said that it was wonderful; noting that he thought everyone had a great time. Mr. Foster reminded everyone who hasn’t already voted to vote tomorrow, Tuesday, November 6th. Mayor Cerino read a letter from Mr. Bob Knapp of the Lions Club thanking the Town for their help with the Halloween Parade, specifically thanking Mr. Sappington for the wooden stairs constructed or altered to go up to the flat-bed trailer stage. Mayor Cerino stated that the Street Crew works quietly behind the scenes and deserves credit for all that they do. There being no further business and no other questions or comments from the audience, Mr. Stetson moved to adjourn the meeting at 8:22 p.m., was seconded by Rev. Tolliver and carried unanimously.